Markem-Imaje service. All Markem-Imaje ribbons are designed, developed and tested with our SmartDate coders to offer you the best quality on the market. 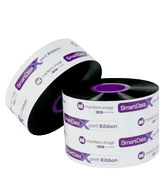 SmartDate Xpert Ribbons are full resin ribbons intended for your most demanding applications that require high levels of resistance to solvents, oil and heat. 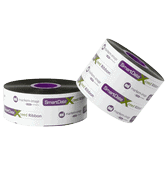 The SmartDate Xtra Ribbons raise the standards for thermal transfer coding. They offer a high level of versatility to code on most of your flexible packaging while ensuring durable codes from the production line until customer purchase. 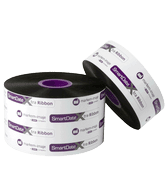 SmartDate Xceed Ribbons are the most cost-effective ribbons to secure your code, ensure readability and make the most of your SmartDate coder without compromising on quality.